Who are the ‘Blogging Friends’? We are Stampin’ Up! demonstrators all across the U.S. and Canada. Most of us haven’t met in person, but love Stampin’ Up and want to share with you! Please join us on the 1st of every month to see what wonderful things we have created! Each month we’ll have a different theme! This month it’s CASE – Copy and Share Everything!! No fooling here, I was a bit stumped at this one! 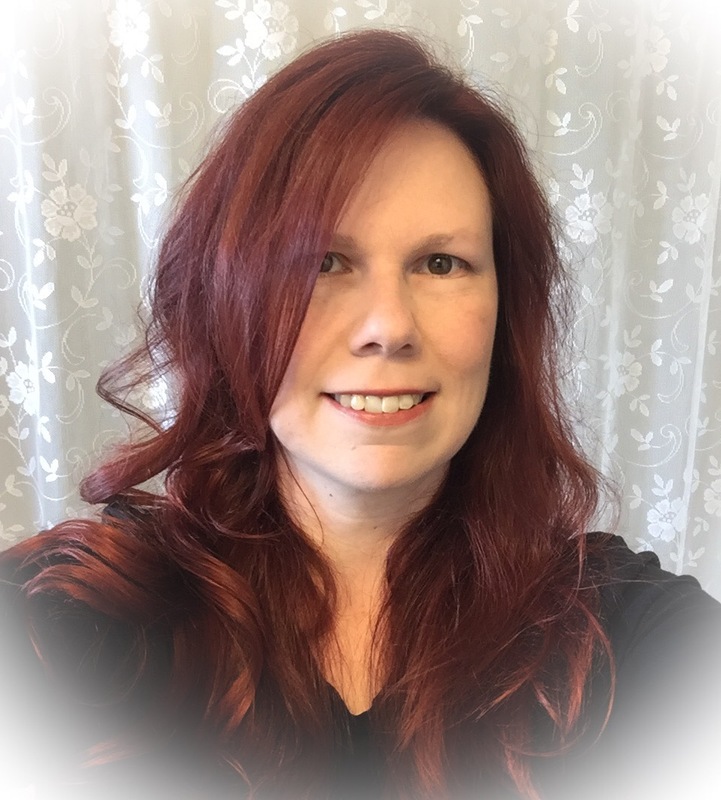 There are so many wonderful projects to choose from that this blogging group has done over the years! So, to narrow it down, I thought of a few things. First, it’s Spring! At least, it’s supposed to be… Right now it’s still a bit chilly for my taste in my neck of the woods. So I wanted a spring-like project, flowers are always good for that! Next, I wanted it to be in some bright colors. Bright colors and flowers should fit in nicely with it being Easter, too! For the first card, I didn’t have all the same supplies, so I did a little stamp swapping. Here I used the Beautiful Day stamp set from the Occasions Catalog. I masked part of it, and stamped it twice, coloring it in with the Aqua Painters and the Flirty Flamingo ink. The background is the Musical Sheet stamp, in Smokey Slate. Here’s the trick on both of these cards… I did not have any Designer Series Paper in Flirty Flamingo, so I created my own. I used the card stock, stamped images in white craft ink, then heat embossed with white powder. Voila! Pretty snazzy, eh? For this one I used the Timeless Textures to get the pattern. For the next one, I used leaves in Awesomely Artistic to make the home-made DSP, since I used it for the main flower image as well. I hope you like both of these, and thank you to Crystal for the inspiration from her original projects! I can’t wait to see what everyone else came up with this month! If you would also like to see the rest of this month’s projects, then please take a few minutes to hop on through the rest of today’s blog hop! 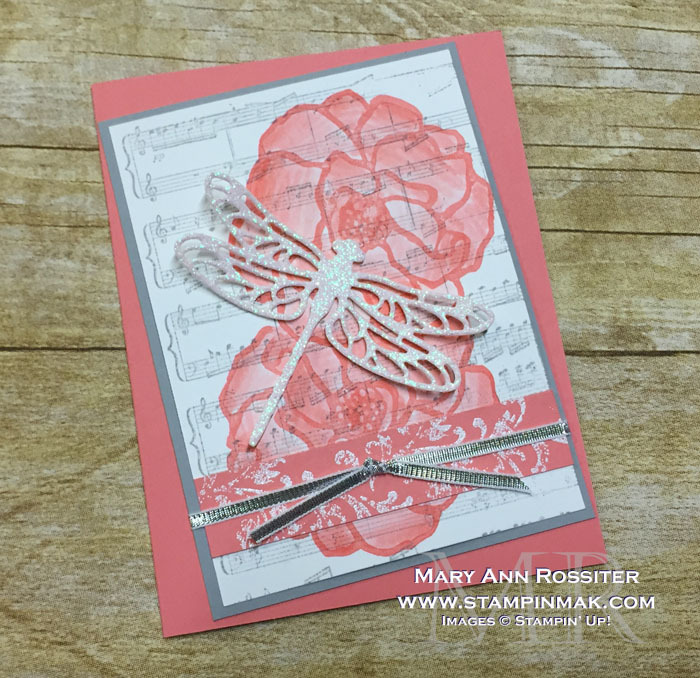 This entry was posted in 2018 Occasions Catalog, Blogging Friends Blog Hop and tagged #bloggingfriendsbloghop, #retissornnayram, dragonflies, glimmer paper. Bookmark the permalink. 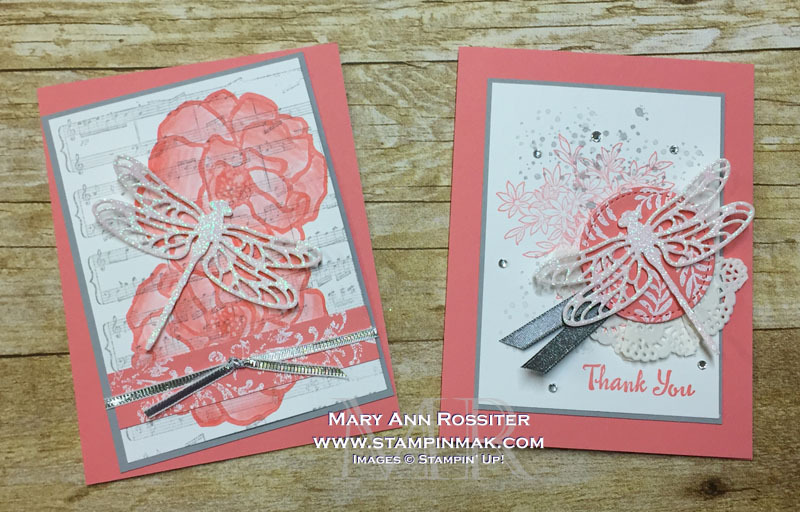 Love these 2 cards Mary Ann, fabulous job. I may have to be casing these also. Happy Easter!